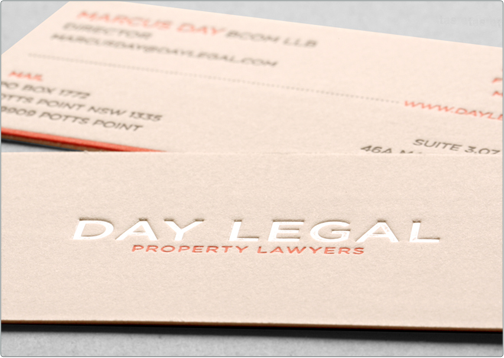 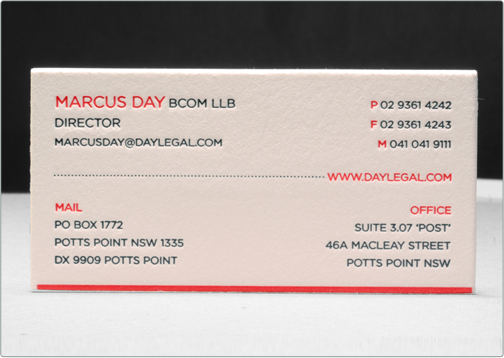 This Cotton Card was designed for a Property Law Firm in Sydney, Australia. 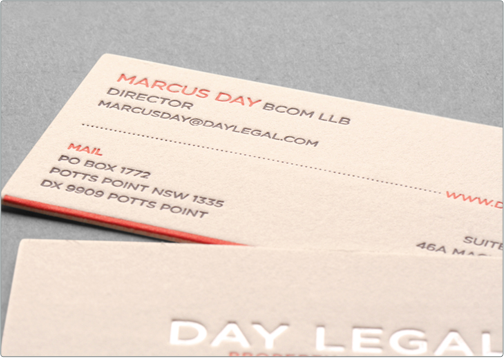 The design includes a pearl foil debossed word mark. 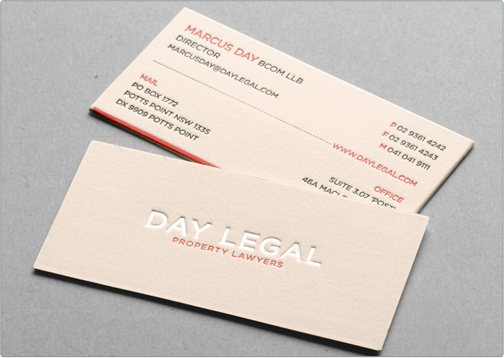 The minimalist color palette makes efficient use two inks to create a clean but engaging layout separated by a decorative debossed dotted line that visually accentuates the web address.